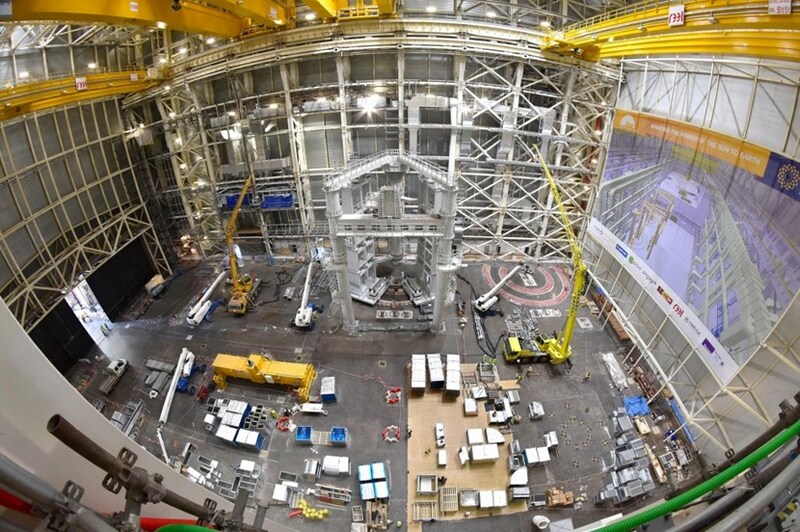 Two identical handling tools in the Assembly Hall will play a critical role in preparing ITER's nine vacuum vessel sectors for their final journey: transport by overhead crane into the Tokamak Pit. Called the sector sub-assembly tools (SSAT) they will support a sector vertically while operations that can only take place in a spacious area—the addition of large thermal shielding sections and the attachment of a pair of D-shaped toroidal field magnets—are carried out. These tools must be commissioned before the first vacuum vessel sector arrives from Korea in early 2019. The first tool is fully assembled on the shop floor. 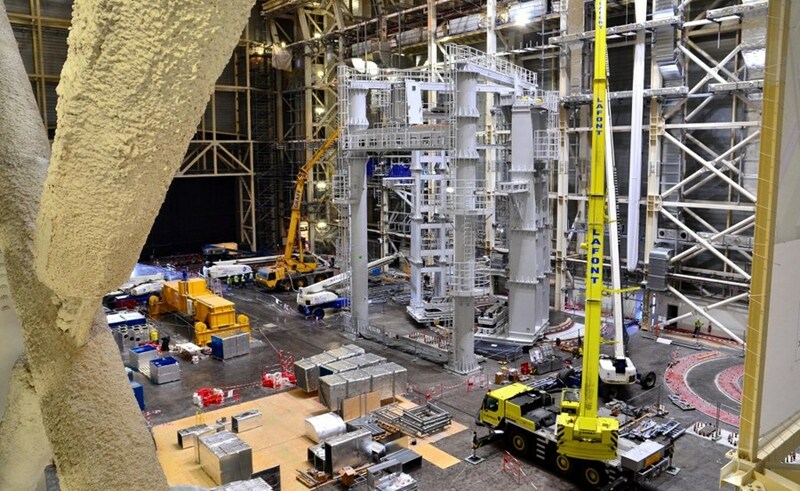 The 800-tonne metal structure of SSAT#1 has now been installed in the Assembly Hall. The first segments of SSAT#2 have also arrived on site, ready to be installed on the anchoring elements adjacent to the first tool. Both tools have been procured by the Korean Domestic Agency, which is in charge of the design and fabrication of over three dozen dedicated assembly tools. As part of functional tests planned on the SSAT tools, test loads of 340 tonnes (just over the weight of a toroidal field coil) will be attached to each of the lateral wings to be rotated inward. The sector sub-assembly tools will support charges of up to 1,200 tonnes during out-of-pit pre-assembly activities. The precise actuator system of these hydraulic-powered tools will allow components to be positioned with the highest accuracy—just 1.5 mm for the toroidal field coils that are 16 metres tall, for instance—and adjusted to six degrees of freedom (up and down, side to side, forward and backward, plus rotational directions (swivel, tilt, pivot) relative to the axes). The pre-assembly operations on the first-delivered vacuum vessel sector are expected to take the longest. With lessons learned--and two tools operating in tandem—the necessary time will be reduced significantly.